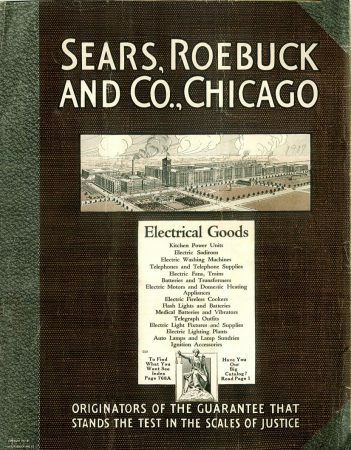 By 1917, what could you with electricity? The question was more what COULDN’T you do? Lighting was a given by now, so electrify was being tried throughout the house in other ways: stoves, toasters, washers, even medical devices. 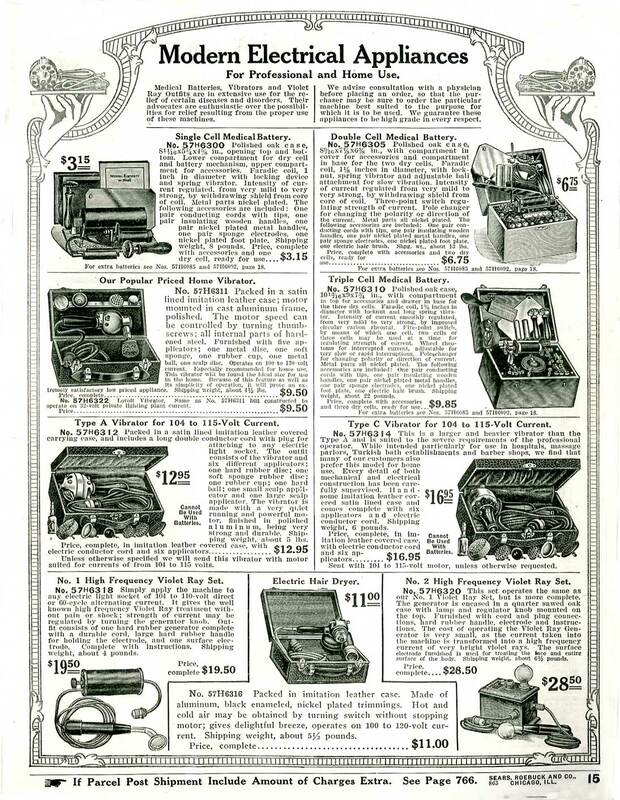 Then there were the electric shock devices. 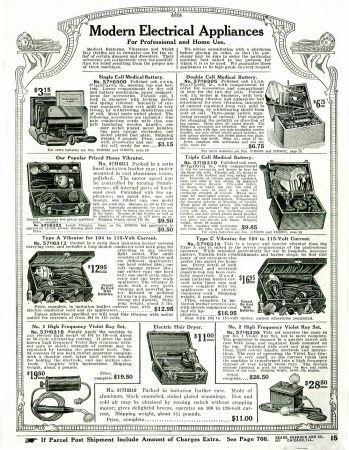 In the late 1800s and early 1900s, it was a common belief that inducing high frequency electrical charges through the body would cure or prevent certain diseases. Both the Medical Batteries and the Violet Ray worked on this principle, and they had many believers. The violet ray applied a high voltage, high frequency, low current to the human body for therapeutic purposes. Invented by Nicola Tesla, violet ray treatments were said to cure everything from lumbago to carbuncles. Sure they did. Oh, there IS one recognizable device on the page: an electric hair dryer.